Giving dogs a chance at a SAFEHEALTHYHAPPYLOVING life. Our mission is to ensure the health and welfare of all dogs while working toward a positive change to end the overpopulation of stray dogs. We are located on the North Shore of Massachusetts and started off simply as animal lovers…especially dogs of course. Patty and I started volunteering at a local animal shelter and our love for dogs blossomed even more. We saw the pain, anxiety and horror in these dog’s eyes and it broke our hearts. We couldn’t imagine treating any animal inhumanely, especially an animal as loving and caring as a dog. Our passion for dog rescue really took shape when we visited Puerto Rico a few years ago for the first time. There are many stray dogs that are unhealthy and treated very poorly. Some of the locals rescue the dogs and bring them to their own home and nurse them back to health and hopefully transport them to a loving, caring shelter where they’ll find their forever home. 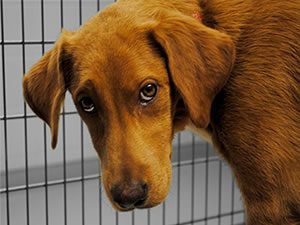 We rely on the shelters to give the dogs a temporary home until they find their forever home. Patty and I now visit Puerto Rico multiple times per year. When we’re down there we rescue stray dogs from the tough streets, clean them, vet them, spay or neuter them and hopefully, by the end of all that, they are ready for the trip of their life to that loving, caring shelter. All of the services we mention cost a lot of money and we’ve donated thousands of our own dollars to these amazing dogs. We need your help with the expenses, that’s why we started Wags 2 Riches Dog Rescue. We are a 501(c)(3) non profit so all of your donations are tax deductible. We are always in need of donations so we can continue saving these dogs and in hopes of giving them a great life they deserve. Around 9 years ago I started to volunteer at our local animal shelter. I was always curious on where some of the dogs were coming from. When the director of the shelter said she was going down to Puerto Rico, Patty and I jumped at the chance to join her. Now, three years later, we are going to Puerto Rico a few times per year but helping at a much larger scale. We have started our own rescue so we can place more dogs into wonderful, loving homes. We also volunteer with other rescue groups in Puerto Rico and help with the Humane Society’s spay and neuter clinics. Our goal is to educate people on the importance of spaying and neutering in hopes of not having to move dogs off the island. Until we all can get the dog population under control we will be working hard to place them all into loving homes. After volunteering at a local animal shelter for a couple of years, I wanted to do more. I was fortunate enough to meet another volunteer who felt the same as me. Together we decided we would travel to PR and help where we could. During that time we met many rescuers who rescue satos (street dogs). I saw the rescuers’ commitment to these animals and I felt I too had that commitment. For the last three (3) years we have traveled to PR using our own funds. Kristie and I have assisted in spay/neuter clinics, rescued, bathed, vetted, bought supplies, have spoken at a seminar on how to raise funds for their rescues, educate people about the need for spay/neutering and the importance of vaccines. My love for these animals just grows. As a result, we are taking it a step further. We have started our own rescue. If we can help even one dog, we have made a difference. They need our help. The goal for all rescuers is to one day not to have to send their dogs to other places for a better life, but until that happens, we are going to rescue and find the best possible homes for these special dogs. We will be traveling to locations in the US to meet other rescues, who are saving and placing dogs from other parts of the country and beyond. These animals need our help and we all have the ability to do something.